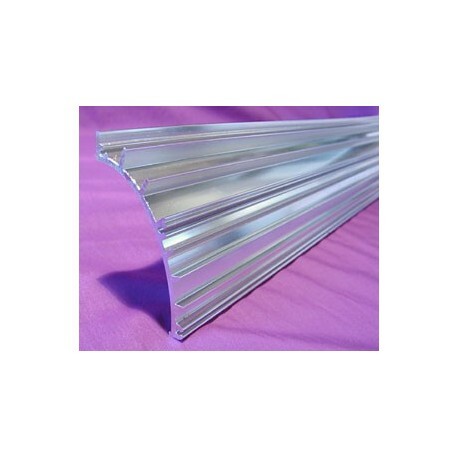 CON-TROL-CURE® UV REFLECTOR EXTRUSIONS are ideal for basic UV curing. They are available in 2 elliptical shapes featuring different focal points: 1.75" and 3.5". 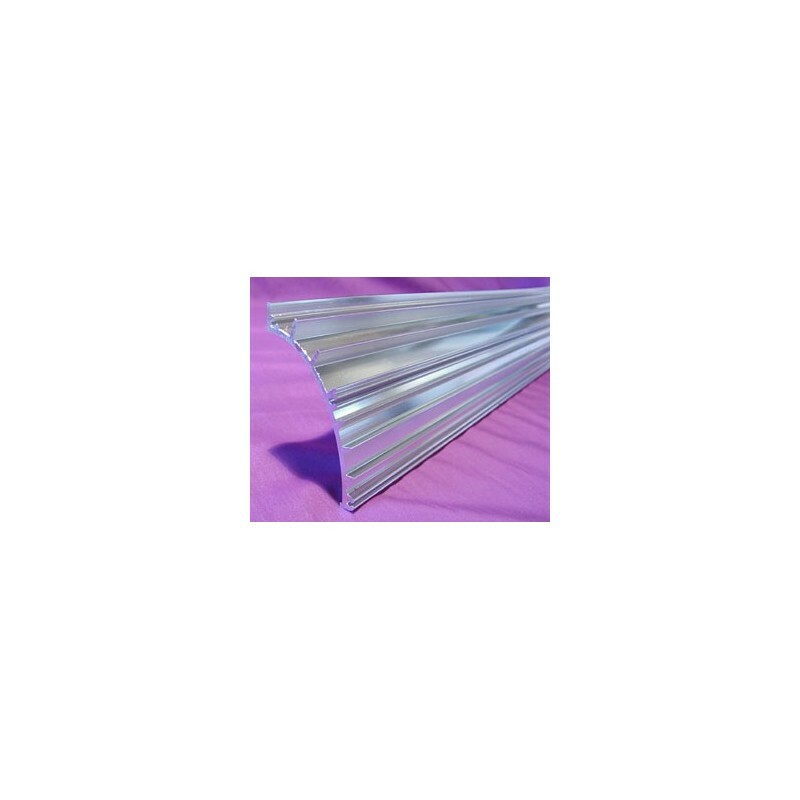 These elliptical reflectors provide excellent focus and 86% reflectivity for efficient cure. They are especially effective for pigmented coatings. Choose the proper dimension to best suit your equipment needs. The focal point (or focus point) is measured from the center of the lamp to the curing surface. Note: These reflectors are sold as a 1/4 portion of an ellipse (see image at top of page). Ordering 1 of the below part numbers will provide enough reflector material to create a 5 ft. 1/2 ellipse reflector. There is a "J" hook on the bottom part of the reflector to capture the reflector material on the top when the right and left side of the reflectors are positioned, you would place an 1/8 thick piece of aluminum that would function to join the 2 reflectors together, Maintain proper spacing between the 2 reflectors and hold the reflector material in tight position against the "J" hook.